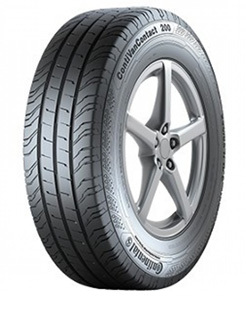 The ContiVanContac 200 is a transporter specialist tyre that has been designed for use in Western and Central Europe. It features central sipes and grooves that deliver unparallel safety when driving and braking on rain-soaked roads. The macro block profile and sturdy tread centre that have been included in the design, deliver precise handling even under heavy loads.